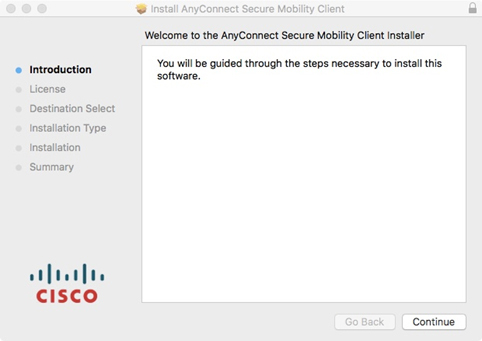 Installing the Cisco AnyConnect Essentials client for Macintosh OS 10.5 (Leopard) and connecting to SSL VPN. 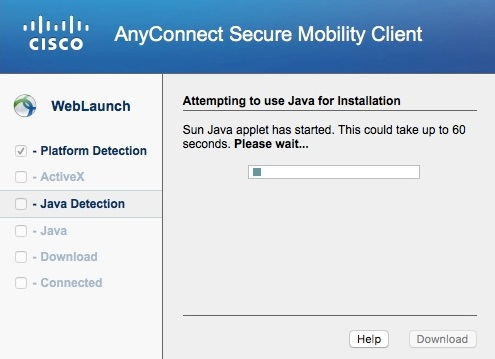 The page will attempt to Auto-Install the Cisco AnyConnect Client Software. 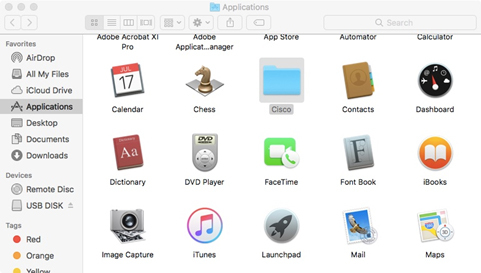 When prompted, enter Mac OS X credentials and click “Install Software” to continue. Once installed, the AnyConnect Client will try to auto-connect to sslvpn.wsu.edu. When it is connected you will see the Cisco AnyConnect VPN Icon on the top bar. 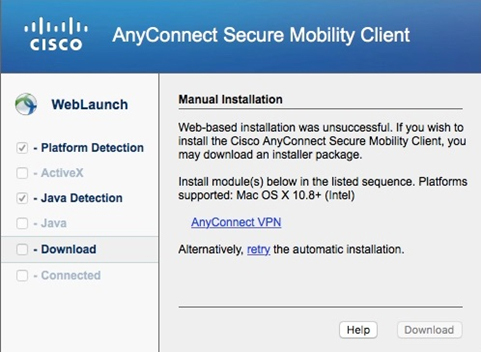 NOTE: If the Web Install fails and you are prompted for manual installation, click the “AnyConnect VPN” link. This will download the .dmg file to your Downloads to manually install the software. Once you start the install, follow through the prompts to complete your install. When you start the Client, a VPN: Ready to connect box appears. Type the server sslvpn.wsu.edu in the box and click Connect. 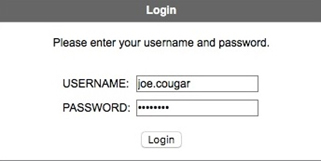 When it prompts for credentials, use your Network ID and Password to login. 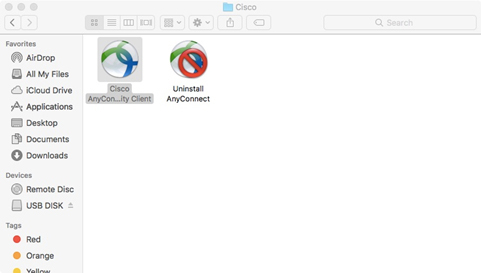 The Cisco AnyConnect VPN Icon shows up on the top bar and if you hover your mouse over it, it will say it’s connected. Go : Macintosh HD -> Applications-> Cisco and click "Uninstall AnyConnect"